Richard Lawson: Well, I guess the slightly more interesting bit about me starts when, as a teenager, I fell in love with synths – back in the 1970s – that passion has kept with me all my life. Although I never pursued a carrier in the music industry, my business background came from the tough corporate sales & marketing world in IT. When I decided to start my own business in 2002 (RL Music), I had the right combinations of professional sales skills and a passion for the subject matter. Like many enthusiasts of synths and electronic music, I’m a wannabe musician but without the real talent to make that a living so the next best thing in my eyes was to be involved from the other side…the gear! My big influences as a teenager were artists Tomita, JMJ & Vangelis – still are. What these guys could do with synths was inspirational and I wanted to own synths and play music like that. 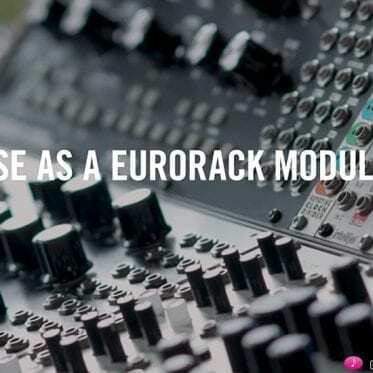 It was the big Modular Systems that stopped me dead in my tracks with awe, and if someone had told me back then that one day I would make a living from buying and selling them I would have just laughed! GS: What made you start and how did you start RL Music? 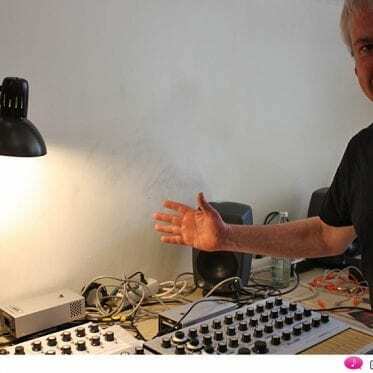 Richard Lawson: I started RL Music for two main reasons: firstly, my complete passion for vintage analogue synths, and secondly, my belief that there are a great many people in the world who wanted to own these beautiful instruments that have been fully professionally restored, beautiful to own, supported with a warranty and reliable for many years to come. As a musician and long-term owner of synths, I had personally found it very frustrating trying to reliably buy vintage keyboards from people. The general condition, both cosmetically and operationally, of what’s offered around the world is pretty poor, and in my opinion has got worse in the last few years. eBay shops and other dealers in general are interested in flogging gear – I’m interested in long-term customer relationships and providing highly-valued services and products to the synth community. I wanted RL Music to be the best vintage synth dealership in the world and that commitment remains unaltered. 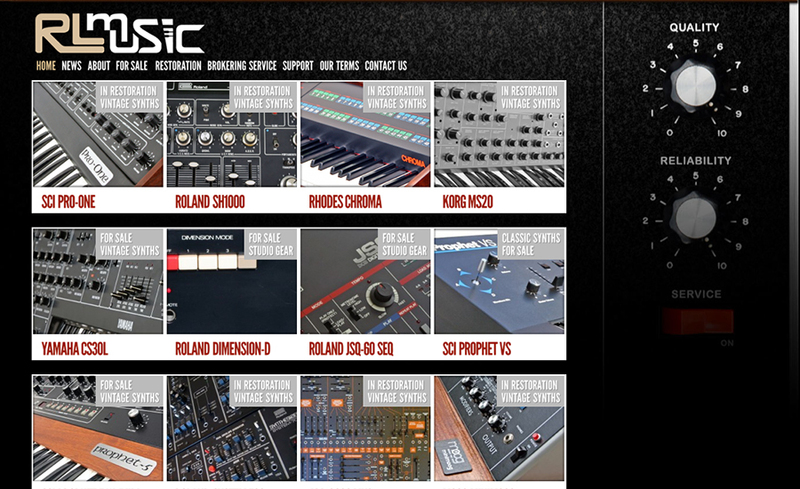 The RL Music website is the shop window in effect but the business is quite complex behind the scenes and is essentially supported by some very skilled people who have the technical know-how and shared passion to bring these extraordinary instruments back to their full glory. I do work with a small number of specialist companies in the UK for this, but by far, the majority of the restoration work is done by a good friend and associate of mine, Kent Spong of KSR (Kent Spong Restorations). GS: What was the biggest challenge when you started, anything you did not expect? 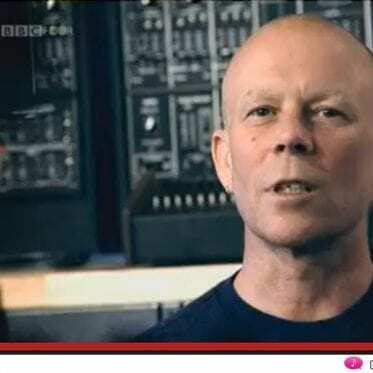 Richard Lawson: Where do you start – Everything has been a huge challenge right from the very first instrument I sold (Roland VP330 Mk1) to a very tearful young women who had forgot to bring any money but had to take the synth to use that day on stage, to working with engineering companies in prototyping products etc. Starting a business from scratch is a lot of fun, and gives you a great sense of freedom and achievement, but in the early days it’s tough as everything is new. The things I didn’t expect to be such a draw on resources was dealing with the packing and shipping side, and it’s taken years to really get on top of that. It’s tedious and mundane work but absolutely essential to get right and is as important as the restoration work on the synth itself IMO. I would say the biggest challenge overall is finding reliable, honest and skilled-enough people to help me deliver the services and products that I offer. I have had the very good fortune to know and work with Kent Spong at KSR and he has been my ‘foundation’ if you like – for over 37 years. Most of the stress and troubles we have ever really had have come from dealing with third-party businesses as the standards other people work by are often lacking from my point of view. I’m delighted to say that I now have a small group of trusted Partners who I work with and am always happy to promote their businesses. GS: How long does it usually take to restore and how difficult is it to find spare parts? Richard Lawson: The level of restoration will determine how long (and how much) but something like an Arp 2600 can take up to 8 weeks if the full cosmetic work is undertaken (re-painted and screened etc). 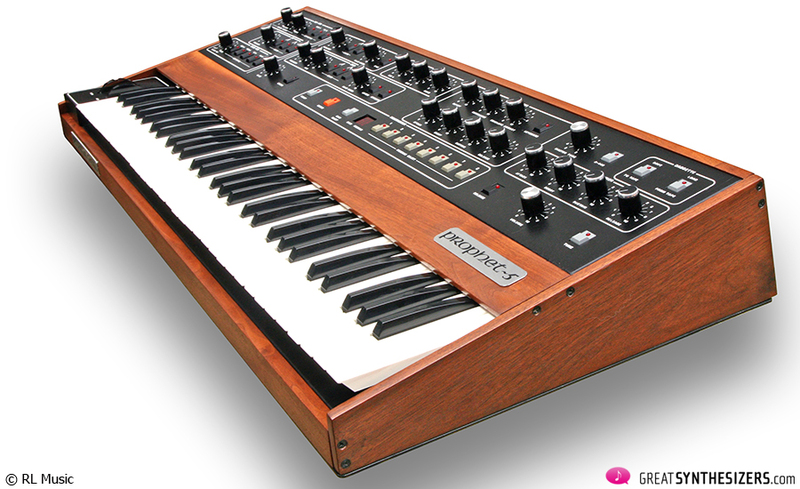 A Yamaha CS80 can be similar – 8 weeks, but the Juno 60 custom projects I’m finish now have been over 4 months. It’s not simple work and usually involves many people in different businesses to make happen…and it’s not cheap. 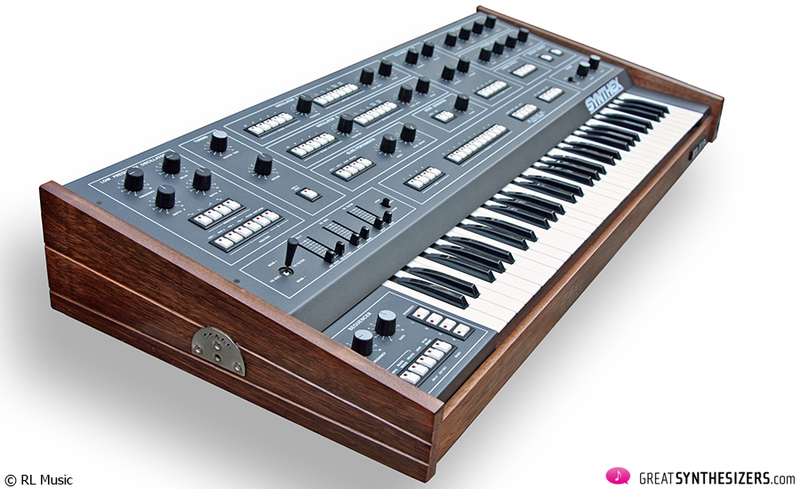 When I say we have restored a synth then that will mean a lot of time, effort and expensive has been invested into it….it does not mean its just been serviced. Most good techs can service synths in a day, restoration takes weeks. Finding spares is always a challenge, although to be honest, I thinks it’s easier than it used to be now that more people around the world are involved with producing parts for vintage synths etc. Kent & myself have always invested into buying synths to break-up up for spares which is still our main resource although we don’t do that with CS80s anymore. 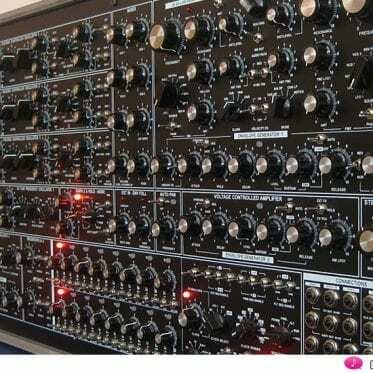 There have been a few Memorymoogs, CS60, T8, Polymoogs and Prophet 5 etc. taken apart for spares where we had to. This is another big investment that people don’t see, but enables us to continue supporting our own and customer owned machines. 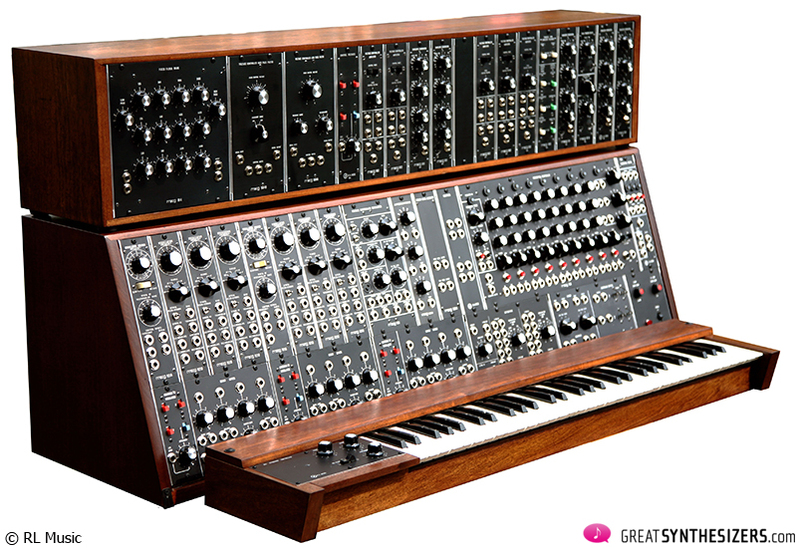 GS: Which synthesizer is the most wanted? 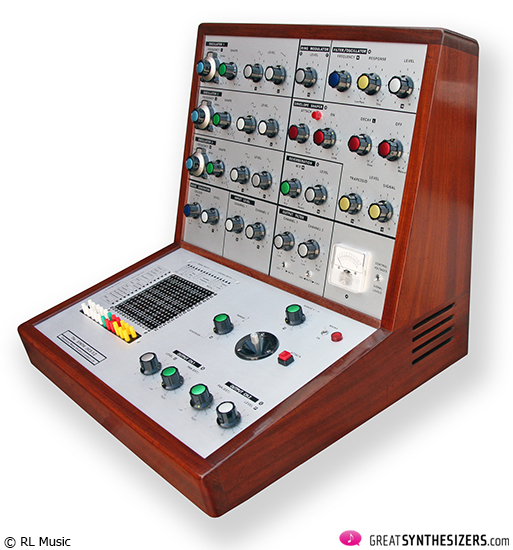 Richard Lawson: Right now its the EMS Synthi AKS or VCS3. As soon as I can get one in then it’s sold! 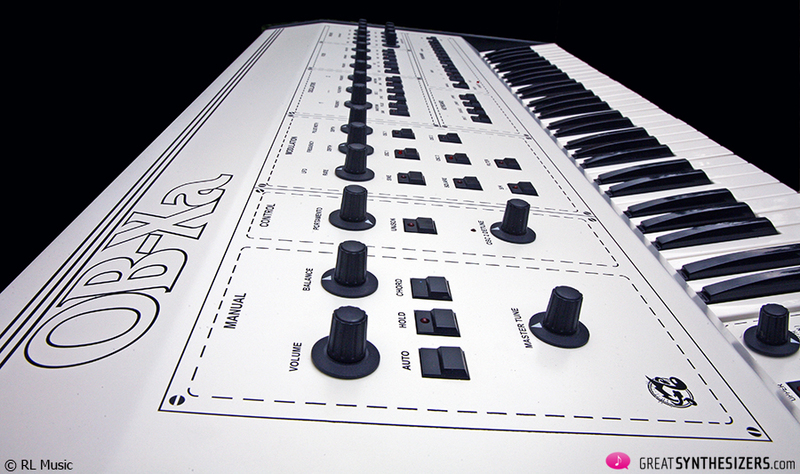 The next are Arp 2600 and Elka Synthex. This is actually just the very tip of the iceberg as I have on my books dozens of people looking for all sorts of specific instruments but finding good examples around the world is pretty hard to do these days. 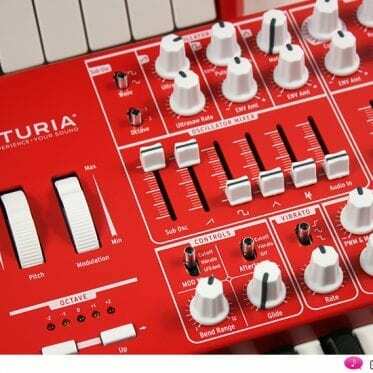 GS: Do you have a favorite synthesizer and in case you have, what do you like most about it? 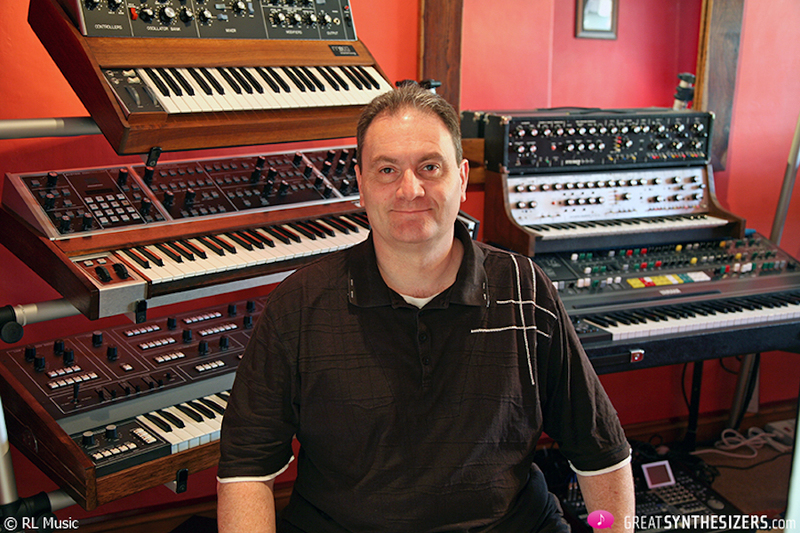 Richard Lawson: Hmm, I have 2 – the Moog System 55 and the Yamaha CS80. 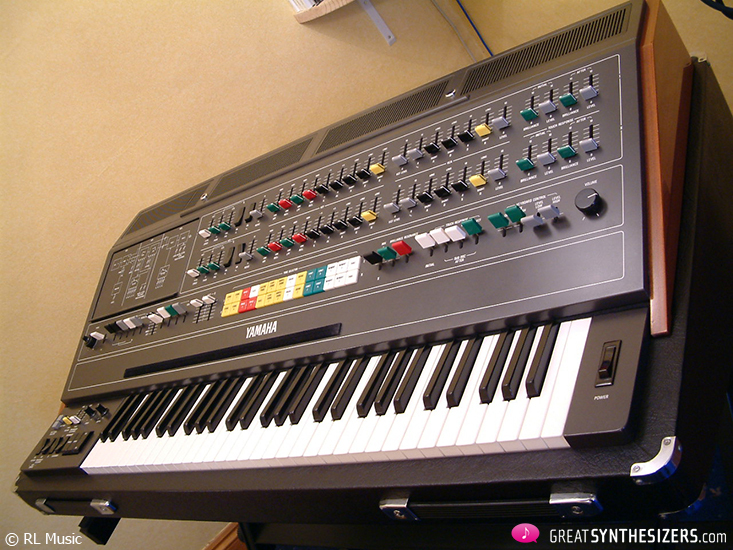 I had a System 55 in 2008 which KSR restored to as-new condition for me, thus realising a life long dream to own one. Unfortunately (or fortunately) a certain German Film Score Composer wanted it quite badly so it was sold to him and now resides in Los Angeles. I still have my CS80 though and think it’s just the finest synth ever made….I mean, just listen to the Blade-Runner score by Vangelis! GS: Which instruments do you own and use to record music? Can you tell us a bit about your current setup? Is there any outboard you are using, like high end compressors, equalizers, etc.? Richard Lawson: Okay, current studio hardware line-up is: CS80, Minimoog, Memorymoog, Korg OASYS, 2 x Synthacons and a Kurzweil SP3X. Euphonix MC Control V2, Apogee Audio and Mackie HR624 speakers & Korg D3200. I’m an Apple user so have a Pro-Desktop system running Logic 8 and software titles like the amazing Spectrasonics Omnisphere, GForce impOSCar2, Ivory Grand, NI Komplete, East West Gold, ProjectSam, and other soundscape libraries etc. The only outboard I use is the classic lexicon LXP-1 for the CS80. Of course not forgetting that I also have all the RL Music synths (31 other items) and studio gear at my command if needed. However, the RL Music business needs are quite demanding and I seem to have less & less time to write and play these days….and I have a baby girl due in the next few weeks! 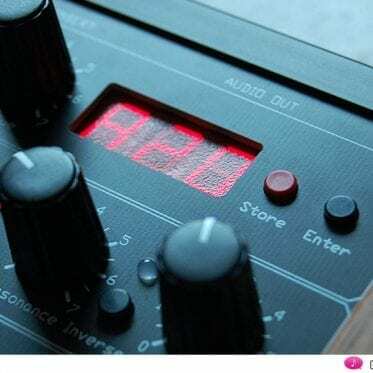 GS: What do you think about digital synthesizers and plugins? Do you have any favorites? Richard Lawson: As as OASYS and Kurzweil SP3X owner, and a DAW packed full with plug-ins/virtual instruments, it’s fair to say I think they’re fantastic and offer such incredible value and quality to the musician. 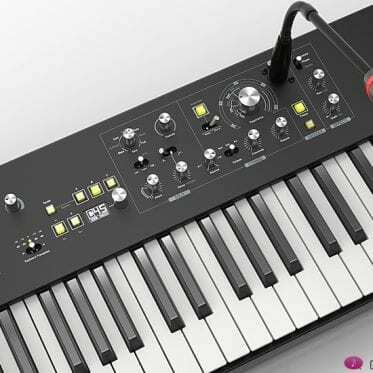 My favorite digital synth is still the OASYS (and thats over the Kronos) as it’s build & sound quality is incredible, and as a synth goes it’s everything I would ever need in a hardware system. My favorite VSTi is Omnisphere – a superlative masterpiece from Eric Persing and Co. The why? – well, I’m not a luddite so fully embrace new music tech whilst working with the best of the old. For me these digital/software systems give you flexibility and good workflow and a huge pallet of sounds to work with so if you just want a quick fix then they can deliver beautifully. GS: Is there anything you are missing in modern instruments? Richard Lawson: Yes – character. 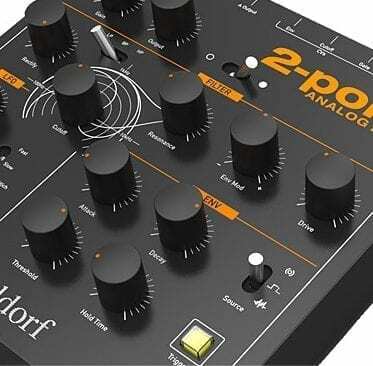 My encouraging commonest on the OASYS and Omnisphere aside, these software systems still lack, or can’t emulate the true and often slightly flawed character of the earlier vintage analogue synths. I’m certain one day that software will be written that can but then you still can’t copy the construction, materials and build quality of synths that came from the 70s and 80s. My passion for vintage synths is stronger than ever as I know these great music machines from the past will never be made like that ever again and nothing will sound like them either. The ownership experience, nostalgia if you will, shouldn’t be underestimated either – Chippendale furniture, classic cars or even (cough!) vintage guitars anyone! 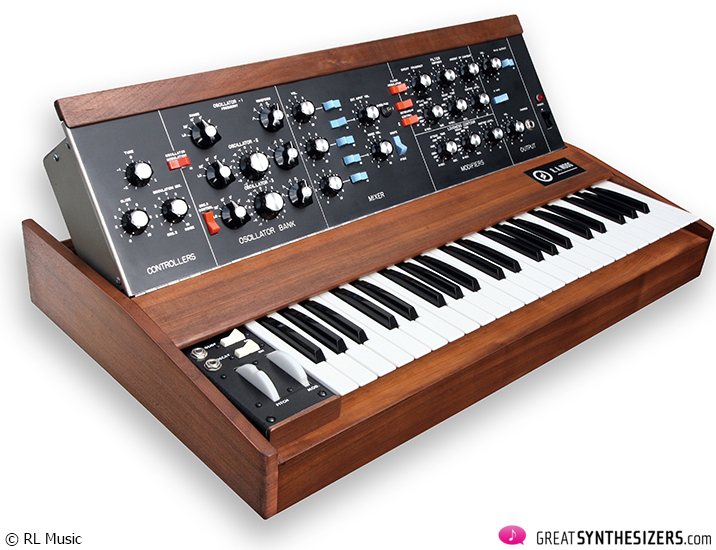 You could write the cleverest software instrument in the world that sounds just like a vintage Moog synth, and have a awesome controller to operate it but compared to the touch, feel and sound of my real Minimoog…there’s no competition. Btw – my answer to this is to have both :o). GS: Do you have any plans for developing a RL synthesizer? Richard Lawson: Yes, we have some ideas in development, and one in particular for an analogue polysynth that would blow you socks off, but both myself and Kent are too busy to get into the prototyping work that’s needed. 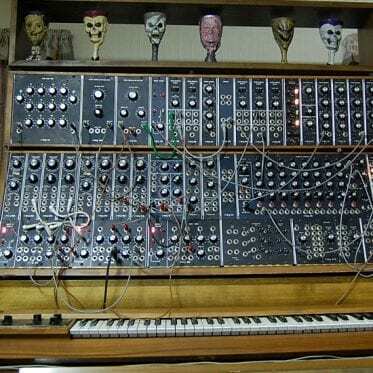 Ask anyone that makes synths (Ken MacBeth, Tom Carpenter, John Bowen etc) and you’ll realise that it’s very demanding, time consuming, and expensive to make it happen from taking it from your head to a working prototype. We know that’s a fact from our 14 months work designing & building the impOSCar2 Controller. I think that once we see some clear-air ahead then we will start work on our next great project – a true 8 voice analogue polysynth with Poly-AT. GS: All the best Richard, and thank you very much for the interview. If you want to find out more about RL Music, please click the following link.